The homepage is the first page a user sees if they enter your domain directly into their browser. If you have a shop and it's the most important function of your website, your shop should absolutely be your homepage. Your homepage is the first chance you get to give a good impression. Potential customers (visitors) will judge the quality and relevance of your site/shop in mere seconds when looking at your homepage. It's therefore super important that your shop homepage has a professional design that matches your brand and that it contains relevant product teasers and obvious links to your subcategories. The homepage shown above includes a large top image (using Jumbotron module) with a short text and link directly to the actual shop. Beneath the header image are small teasers to new products (using the Product List module). Note that you can link directly to a product from your shop database by linking to the URL. At the bottom of the homepage are introductions to special featured areas on the shop. 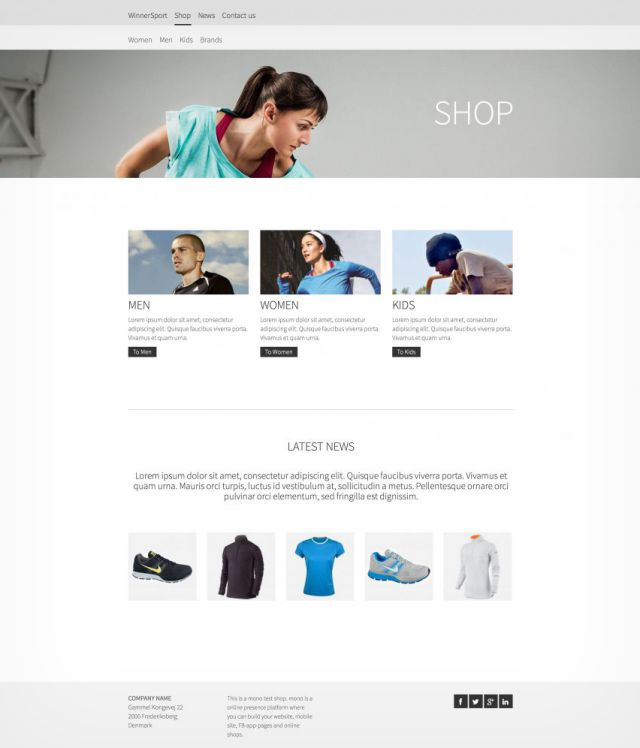 This example above is a 'shop homepage' that customers would land on upon clicking shop in the main menu. You can of course make this page your actual homepage. Some times it can just be an advantage to have a regular homepage that links to the shop. This is especially true if your website also contains several other important areas than the shop. In this example there is a top header image created via a background image with links into the specific head category pages of the shop below. At the bottom of the page are links to new items. 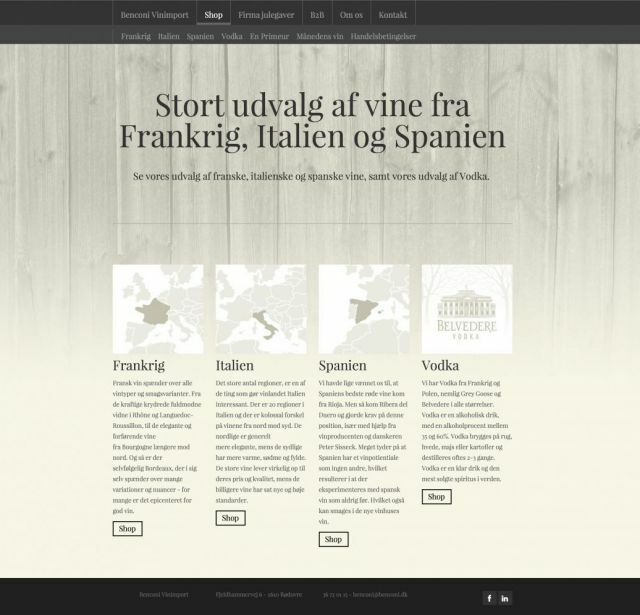 This homepage features a large display text with the statement "Wine is our passion" and underneath this, a link directly to the shop. Below this main area is a short introduction of the company. Below this are four teasers to the four main category areas of the shop - French Wine, Spanish Wine, Italian Wine and Vodka. At the very bottom of the page are two teasers for special offers. The actual 'shop homepage' consists of just a simple heading and quick introduction with links ot the four main areas of the shop. You could also choose to add specific product teasers to this page, for example products on sale.